In the world of adventure and dive travel, Tonga is one of those destinations that has yet to be discovered by the mainstream. While the diving in Tonga is very good, this remote destination is one of the only places in the world where the government issues a set number of permit that allow people to snorkel with, and photograph, Southern Hemisphere Humpback Whales. An independent kingdom, Tonga is comprised of 176 coral and volcanic islands, thirty-six of which are inhabited. The islands are divided into three major groups. Nuku'alofa, the capital, is located on the main island of Tongatapu and is the most developed of the islands. The Ha'apai group is in the center, and contains numerous flat, low lying islands. The Vavau' island group is home to most of the tourism. The islands feature tall hills, volcanoes, jungle, sandy beaches, and safe anchorages for boats. As planes fly, Tonga is about an 90 minute flight from Fiji. On the atlas the islands are on the eastern edge of the Indo-Australian Plate, not far the Tonga Trench. This is a long oceanic valley reaching depths over 5 miles deep. Each year, Southern Hemisphere Humpback Whales leave their feeding grounds in Antarctica and swim to the tropical waters of Tonga to mate and give birth. They like the shallow protected waters between the islands to nurse and the deeper water for mating. 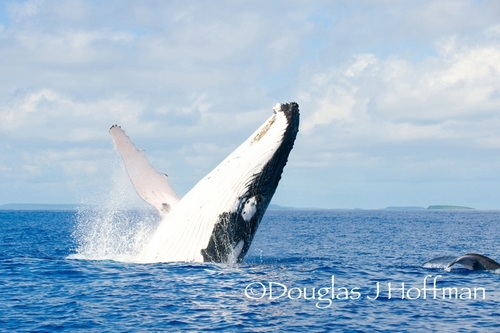 Wisely, the Tongan government has realized the value of Humpback whales in terms of eco-tourism and the money it brings into local communities in the form of charter fees, souvenirs, restaurants, hotels, taxis, and taxes. The fact that the whales come each year and are a resource for tourism out weighs the value of selling a whale for its meat. The money generated flows through the islands and affects a lot of Tongan families, rather than making one family rich, which is what would happen by selling the fishing rights. Most of the whale watching is done in the Vavau' island group. The islands have volcanoes and hills which provide shelter from wind and waves. 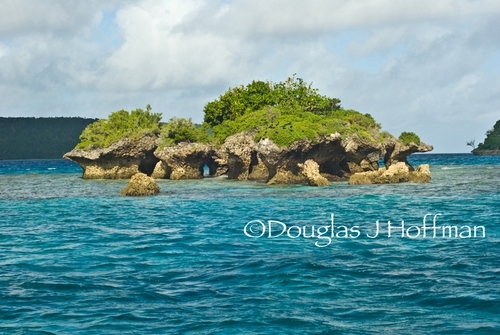 The Ha'apai group is made up of a group of flat, low-lying islands. It is idyllic in perfect conditions, but when there are storms there is nowhere to hide and it can get nasty. Currently there are two land-based operators offering whale watching and swimming tours. Very little whale watching is done from Tongatapu. For the last 14 years or so a Fiji based live-aboard called the Naia has spent two months of the season offering trips in Ha'apai. Due to some recent issues regarding the permit process, the Naia has decided not to offer trips to Tonga in 2010. At this time the owners are confident the problems with the permit process will be fixed and trips will resume in 2011. In order to keep the whales as a natural resource, rules and guidelines have been established. For example, in Vavau' only 13 whale swim licenses are issued. Each permit holder is allowed two boats. So, in theory there can be as many as 26 boats. In practice however, there are about 15-18 boats out on the water. Not every company has two boats, and some boats might be down for maintenance or waiting for parts to arrive. The regulations also make it clear that there can only be four swimmers plus a guide in the water at any time. Swimmers must float together with the guide and are prohibited from free diving on mother and calfs. It is not legal to scuba dive with the whales. Whales must be given a 90-minute break between the time one boat finishes and another boat starts. This is to keep other boats from lining up and starting to swim just as soon as one boat falls off. Encounters are limited to 90-minutes with the clock starting just as soon as the first group of swimmers gets in the water. 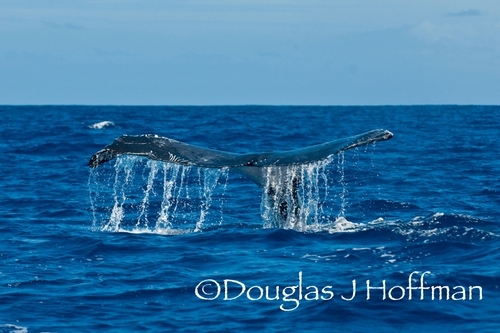 There are many kinds of behavior going on while the whales are in Tonga. Participants will likely encounter single males singing, heat runs which is when the males are fighting for dominance and the right to mate, calm periods when the mother whale is resting and nursing, and active periods when the mother is teaching baby how to breach and slap their flukes on the surface. Swimming with whales is unlike any other experience on earth. Besides being a surreal it is quite humbling. Literally your floating next to a leviathan that could crush you easily but instead is gentle and curious. 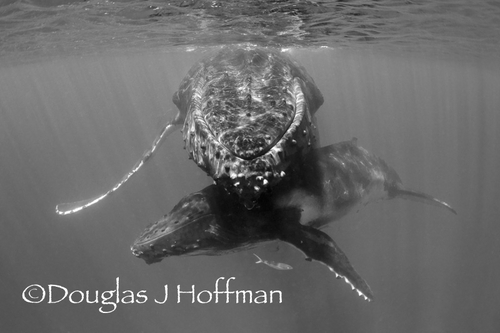 When a whale swims by and looks at you there is an instant connection that will change your life and make you an advocate for preserving and protecting these magnificent mammals. There are two types of charters for swimming with whales. Open or share boats, and private charters. Open boats are affordable and cost between $150-200 US per person per day. These boats take around 8-10 people, and are perfect for visitors planning a week vacation and want to enjoy a few days whale watching, scuba diving, sailing, relaxing, or exploring the island. These tourists are going for the novelty and experience and satisfied with a few glimpses of whales underwater, as well as seeing breaches, spy hops, and tail slaps from the boat. 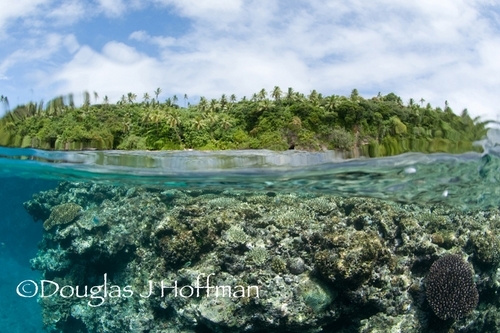 Avid underwater photographers might get frustrated coming so far to get to Tonga then having to wait for a turn in the water. For that reason it might be worth the added cost of going on a private charter dedicated to whale photography. Private charters are for small groups whose expectations are higher than regular tourists and are perfect for scientists, naturalists, and nature photographers. In many cases the group size is smaller so there are no rotations. So, everyone is able to go on every drop. In cases where rotations are needed, participants are advised when to be dry in order to shoot topside and when its time to be in your mask and snorkel ready to get wet. Captains that work with photography groups understand why its important to keep the boat on the sunny side of the whales, as well as recognize behavior that indicates if the whales are on the move or if they want to interact with people. If a group of whales are sighted but not right for swimming the captain will keep looking for cooperative whales. In comparison, a captain of a open boat might elect to put his swimmers in the water with whales he knows are on the move just to be sure all of the rotations of people get at least one chance in the water. As you can see each captain has different motivation. Private charter fees are based on a day rate plus fuel consumption. Some charters are organized by marine naturalists and professional photographers and their expenses are usually covered by the participants. The added costs are well worth it as the professional can share tips and techniques that can really make a difference and save you from making costly mistakes. Depending upon the size of boat and number of engines those considering a private boat can expect to use anywhere from 100 to 500 liters of fuel a day. At $1.80 US/liter, this can really add up. With these costs in mind participants can expect to pay 2-3 times that of going on a share boat. The daily plan is to spend 7-8 hours a day in the boat keeping your eyes on the horizon looking for blows of air, and breaches on the horizon. 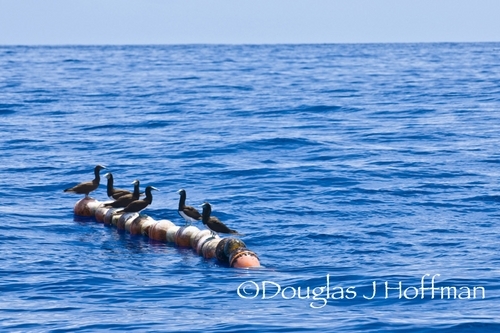 In marine and nature photography, there is the old saying "hurry up and wait". This is definitely true when it comes to whales. Mother nature takes her time to deliver cooperative whales, good visibility, and nice weather. For those that really want a good experience plan on 8-10 days on the water. Remember, patience is a virtue. Once whales are sighted, experienced captains and guides will observe and recognize behavior patterns and know when when its time to get in the water for some underwater photography, and when its best to keep looking for cooperative whales. When it is time to swim, it is very important to be as quiet as possible when entering the water. Whales do not like a lot of noise coming from the surface and their reaction is to simply disappear. As each boat is configured differently the crew will explain entry techniques that enable participants to get into the water while creating as little noise as possible. Big fin kicks that break the surface and create a bubble wake are bad and can also end encounters. 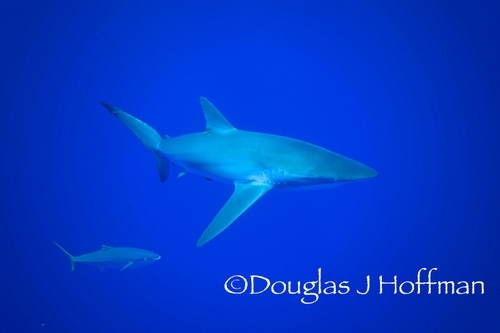 Depending upon style of fin used it might be wise to swim side-ways in order to keep the fin tips underwater. Large fins made popular by skin divers are not needed as they are designed for ascending and descending not for floating at the surface. They are also big and cumbersome on the boat. When in the water always stay together in a group and if swimming travel in a parallel course to the whales. Never swim straight towards the whale. Do not separate and approach whales from opposite sides as this causes stress for the mother whale and is the fastest way to end an encounter. Imagine how you would feel if an animal came at you at full speed and you did not know its intentions. Keep in mind that when the mother is relaxed the calf is free to explore its world and check out us humans. This is when wonderful encounters take place and lifelong memories are made. In the event a swimmer loses position during an encounter and is separated from the group, or finds themselves on the far side of the whale, its best to avoid the urge to swim fast to catch up. Chances are the whale turned, the current picked up, or the swimmer simply got lost in the moment. Should this happen its best to fall off and wait for boat pick up. If appropriate the captain will drop you close to the others. There have been cases where whales and people have come in contact. Most of the time it's because the baby is curious. Swimmers and photographers need to pay close attention at all times and do everything possible to stay out of the whales way. In regard to scuba diving, Vavau' offers some excellent drift dives along walls and drop offs where you will see occasional white tip reef, black tip, and Grey reef sharks, soft & hard corals, and a myriad of fish. 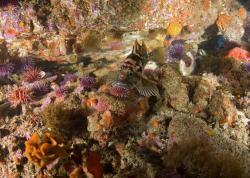 The macro life is good with lots of nudibranchs, crabs, shrimps, and small fish. There is a large wreck of a copra steamer right in Neiafu Harbor. The ship has become home to a school of resident bat fish and a Wobbegone shark. On most dives there is also a school of fusiliers being chased by a large number of Jacks making for great photo and video opportunities. The most frequently used dive sites are within a 20-minute boat ride from the harbor and feature gorgonian fans, soft corals and hard coral gardens. Topography includes grottos, cracks, caves, arches, patch reefs, ledges, and crevices. 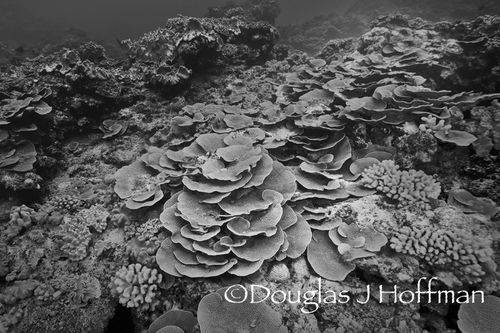 The reefs are healthy and feature a variety of hard corals. Visibility often exceeds 100 feet. Sea Fans - 3 lush caverns await you on this dive as well as a healthy hard coral reef between the caverns. The middle cavern is lined with yellow gorgonian sea fans that stretch for 40ft. As you cruise along the reef, white tip reef sharks, blue fin trevally and a myriad of reef fish await you. Nudibranchs galore inside the caverns as well as on the reef. Caddyshack - named after a miniature golf course, the twists and turns will take you through soft coral swim through's, anemone fish, dragonets and white tip reef sharks are often seen here. For the macro divers, the soft corals are home to many creatures including scorpion fish, nudibranchs and much more. Pinnacles - underwater sea mounts await you for this exciting dive, if the current is strong we hook into the reef to wonder at the abundance of fish. Schooling barracuda will cruise by you, as will wahoo and tuna's. Finish the dive cruising through the blue to shallower pinnacles with soft corals and sea fans. 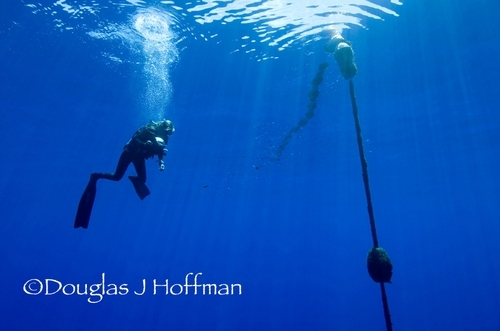 There are just a handful of scuba diving operators around Tonga. 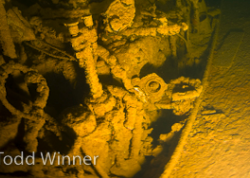 A two tank dive with all equipment will cost about $110US per day. Prices vary per operator. There is no decompression chamber in Tonga. The closest is in Fiji Everyone going to Tonga should have DAN insurance in case evacuation is needed for a medical or dive related issue. Diving is year round in Tonga. In the month of January the temperature is about 99 degrees with 99 % humidity but with it often comes smooth seas, clear water, and perfect conditions for dive operators to travel to remote sites and to do blue water dives on Fab buoys and sea mounts hoping to see Tuna, Mahi Mahi, sharks, and possibly a whale shark. When diving the Fab buoy and sea mount the idea is to maintain a depth of about 20 feet and just hang out and see what swims by. Good weather lso makes it possible to dive at Late the Volcano located 38 miles off shore. 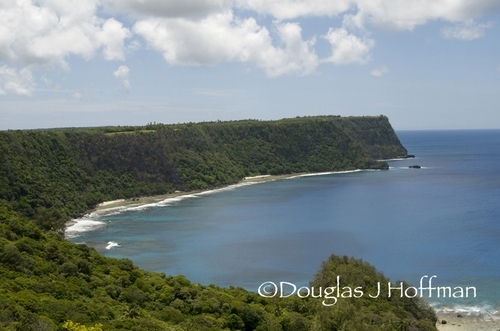 This area features soft corals, black sand bottom and is fantastic. During the boat ride out participants should keep their eyes on the horizon looking for whale sharks, or Sperm Whales. Dive Vavau is the only company offering blue water adventures at this time. This company has two boats. One is a fast zodiac with two huge engines, and the other is a spacious dive boat with one large inboard. Dolphin Diving has plans to purchase a new boat with two engines and once done will start offering tours. Just getting to Tonga can be an adventure and is most likely a major part of the reason the Friendly Isles have not yet become popular. From LA it takes 10 hours to get to Fiji. Depending upon airline and routing, a layover in Nadi Fiji, or Tongatapu, Tonga is required. Keep in mind in Tonga, domestic flights do not operate on Sundays. In most cases the international date line will be crossed and a day will be lost. The good news is you get a day back upon return. The distance to Tonga from LA, is 5167 miles and from Hawaii is 2,965 miles. Air New Zealand offers flights to Tonga arriving at Fua'amotu Airport (TBU). Air Pacific offers flights from LA and Honolulu. Continental also offers flights to Tonga. This is one of those destinations that the effort it takes to research and book flights on your own is not worth it. Using a travel agent that has done business in the Pacific and knows the airlines will save hours of strife and frustration. Flights don't always operate as advertised. For this reason trip insurance is strongly suggested. Be prepared to pay excess baggage fees, and to have your carry on weighed on all domestic Tonga flights. If a layover is required in Fiji, The Tanoa International Hotel, is convenient, clean, and includes airport pick up and drop off service. www.tanoa-international-fiji.com/Fj If hungry take a taxi to the Chicken Bite restaurant, about a five minute drive. The menu features pizza, fried chicken, and some of the best curry anywhere. They also sell cakes and tasty desserts. In Vavau', there are several choices for accommodations including bed and breakfast style, backpackers, home stay, and hotels in Neiafu, and a number of resorts on the outer islands. The rainy season lasts from December to April. The most extreme months are from January to March when temperatures can be be 101 degrees with 100% humidity. Thunderstorms can occur in December and February. The Vavau' group, gets the most rain and the Ha'apai islands, the most wind. 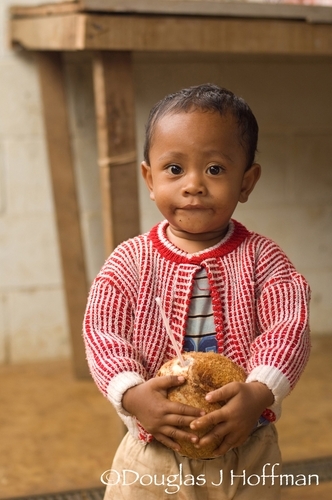 In Tongan life, family and religion are of utmost importance. As Christians the people do not work on Sundays. Expect everything except a few restaurants, and resorts to be closed. This includes airports, markets, and banks. Submitted by Peter B (not verified) on Thu, 2012-09-06 11:00. Going there in Sept -12 and your article really help! Submitted by Dave (not verified) on Thu, 2010-12-09 17:29. A great article, but I didn't see any references for local whale watching operators other than the Na'ai liveaboard. I am looking for info on private charters for whale watching. I'd like to get in a few days of watching with a more serious crowd ( and I am a photographer) but also want a few days of diving somewhere in Tonga. I will be with my two teenage daughters, newer divers but experienced snorkelers. They like the educational side of things and want the whale more than the diving. Any suggestions on operators or TAs who can help me create this trip? Submitted by Jacob Peterson (not verified) on Sat, 2010-10-09 14:39. Submitted by scottg on Sat, 2010-10-09 19:58. Submitted by Anonymous (not verified) on Wed, 2010-05-26 09:50. Very well written and interesting article. Great photos too. Submitted by Anonymous (not verified) on Wed, 2010-05-26 09:24. Thanks a lot Douglas. 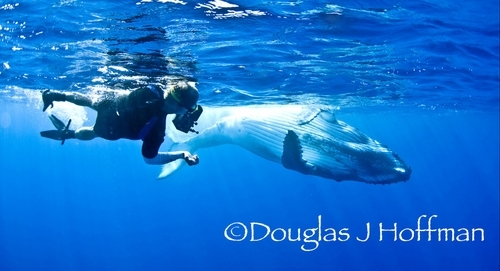 It is very important to give information about diving/snorkling with whales. They really need publicity.